People like their decks to function as an outdoor kitchens. 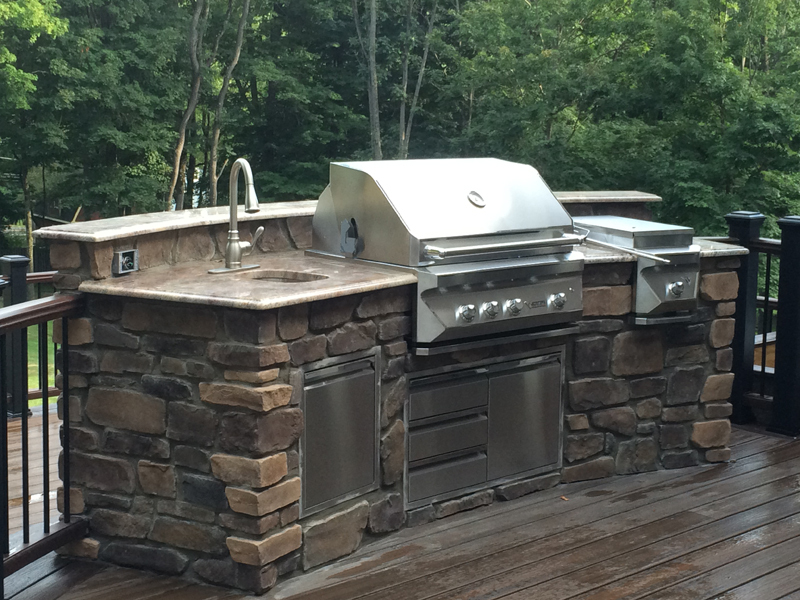 Amazing Decks is an outdoor kitchen builder that can easily incorporate the luxury of amenities such as a custom-built grill from Fire Magic, whose products are top-of-the-line in the industry. 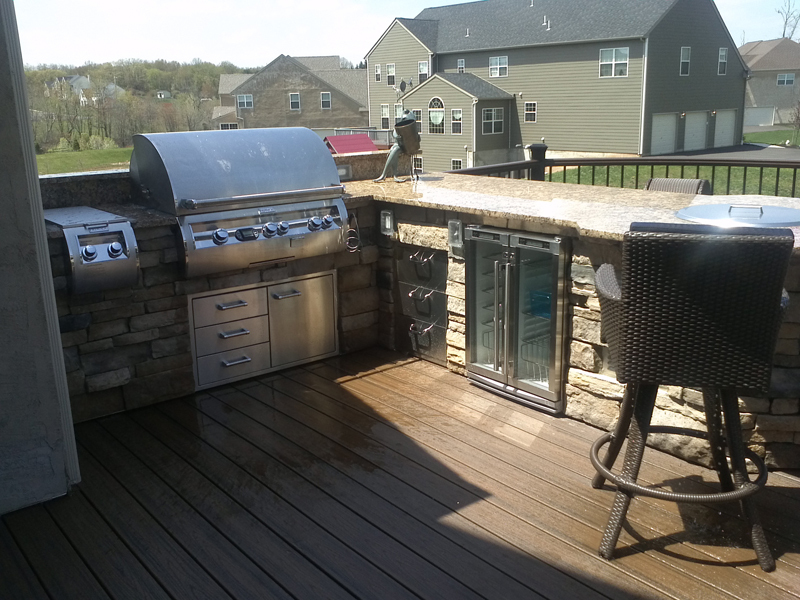 If you want a versatile and highly functional outdoor kitchen deck, Amazing Decks will exceed your expectations by creating a beautiful outdoor living space for you. Our outdoor kitchen builder design team can build an elegant area that’s ideal for entertaining, relaxing, and enjoying the outdoors. 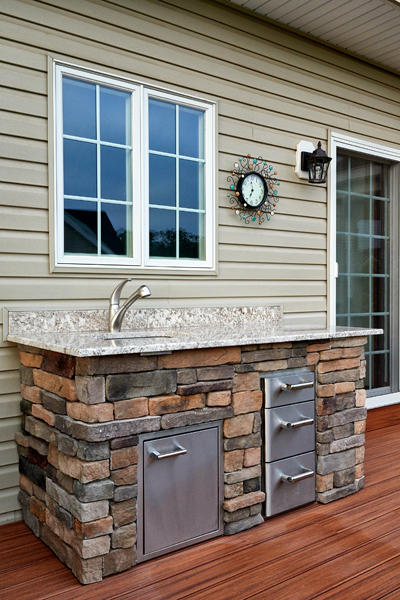 Imagine the many uses of an outdoor kitchen deck. 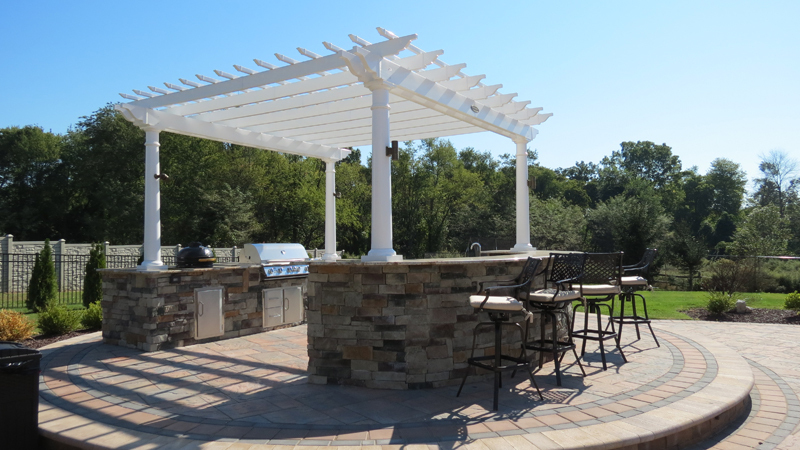 When it comes time for birthday and anniversary celebrations, holiday gatherings, graduations, or intimate wedding receptions, a beautiful outdoor kitchen design that includes an excellent cooking system is the ideal way to go. Sometimes people forget that a deck is good for a lot more than just sitting around. This outside living area should be a true extension of your home and lifestyle, with easy access into and out of the house as well as the back yard. 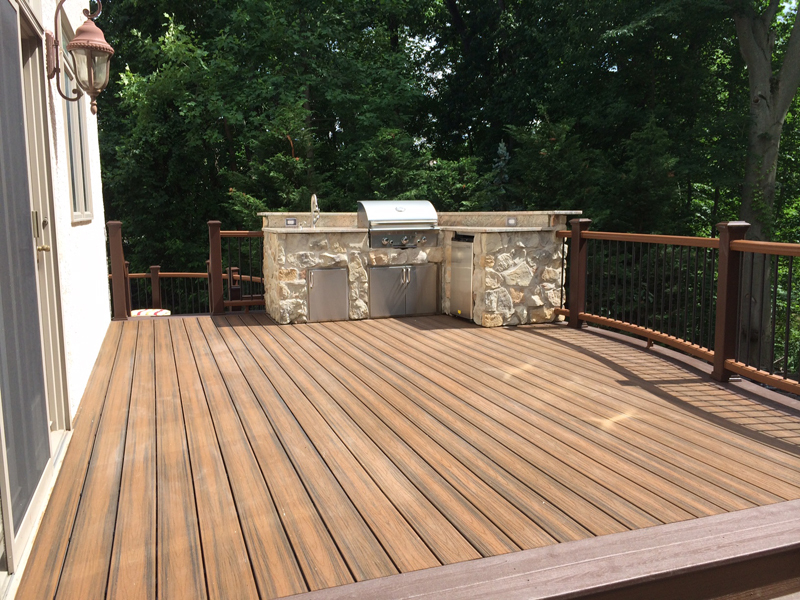 Amazing Decks takes all this into consideration in building decks with high quality materials and putting more than 40 years’ experience into every job. When you add a Fire Magic Premium Grill to your deck, you’re set up for good times and great experiences with friends and family. And it’s not only grills – Fire Magic offers refrigerators, sinks, warmers, trash receptacles, and more for your deck or patio kitchen, all of which we will expertly install according to your specifications. For more than 70 years, Fire Magic has been a leader in outdoor kitchen deck design products, with which you’re sure to be more than satisfied. By designing your deck to be fully functional and able to perfectly fit the needs of your whole family, Amazing Decks brings you the perfect place for entertaining, eating, partying, or just relaxing in elegant style. 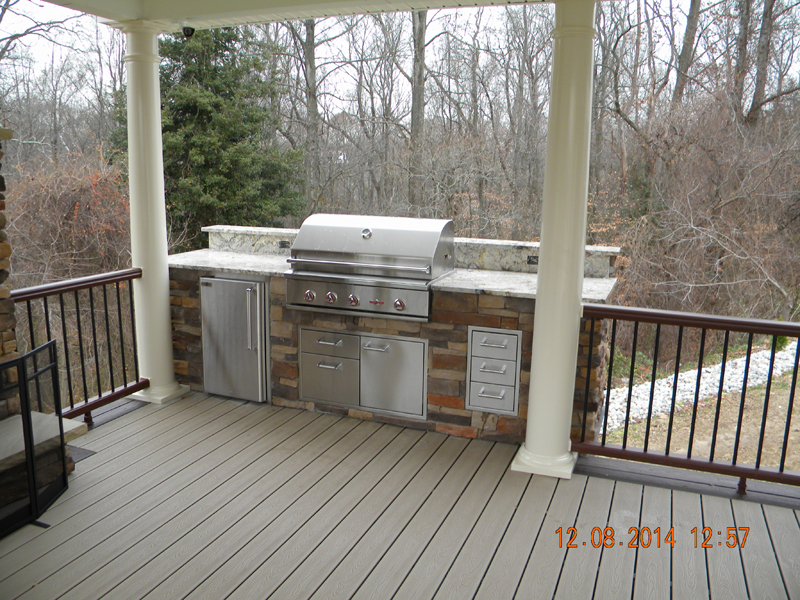 Ready to Build Your Outdoor Kitchen on Your Deck or Patio? 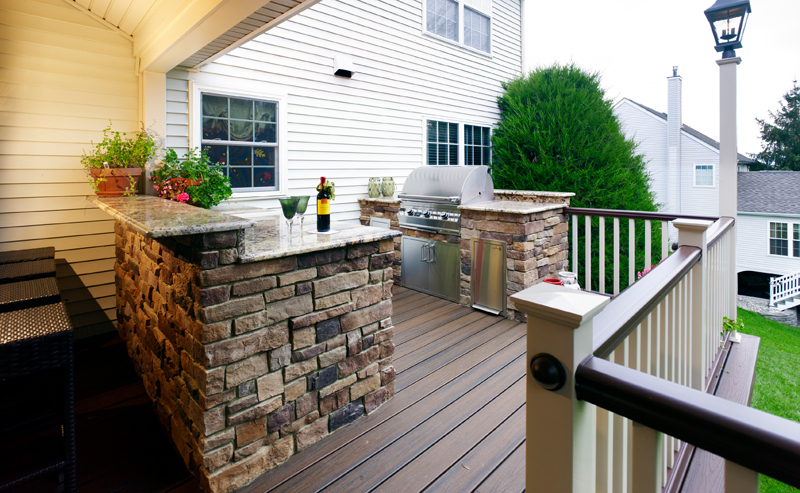 If good times spent on a beautiful outdoor kitchen deck is an attractive idea to you, call us and arrange for a free estimate. 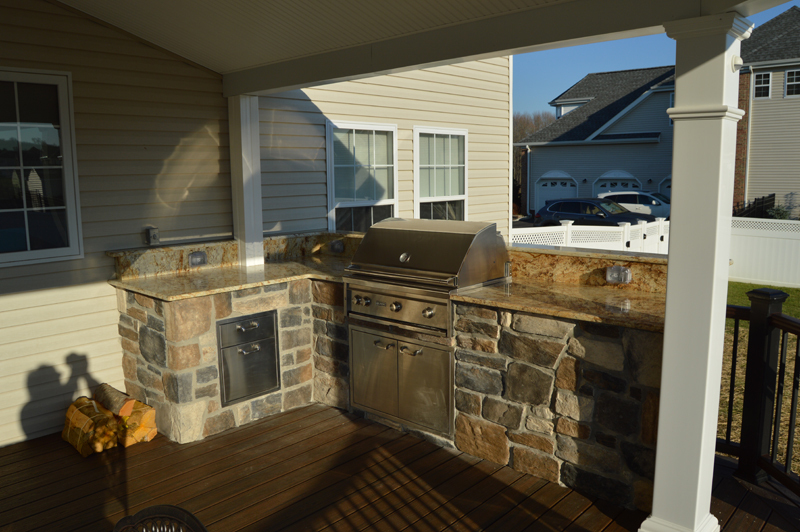 Let us tell you how we can transform your home with a beautiful, functional outdoor kitchen deck you’ll enjoy for years to come. Contact us today! 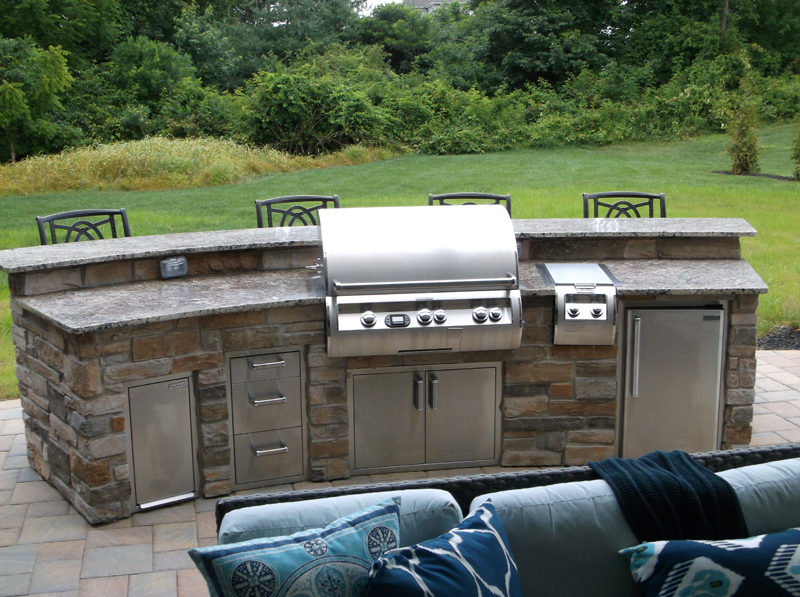 For outdoor kitchen designs in New Jersey, please call us at (215) 654-1886 to learn more.